Planning a long drive with your beau? Or that off road trip you planning with your buddies. Can you rely on your car? What if your car breaks down in the middle of nowhere? These questions worry everyone, and the truth is you can’t ever be 100% sure. A mechanical problem can arise at any point of time, after all your car is a machine and they tend to break down now or then. Worry no more! 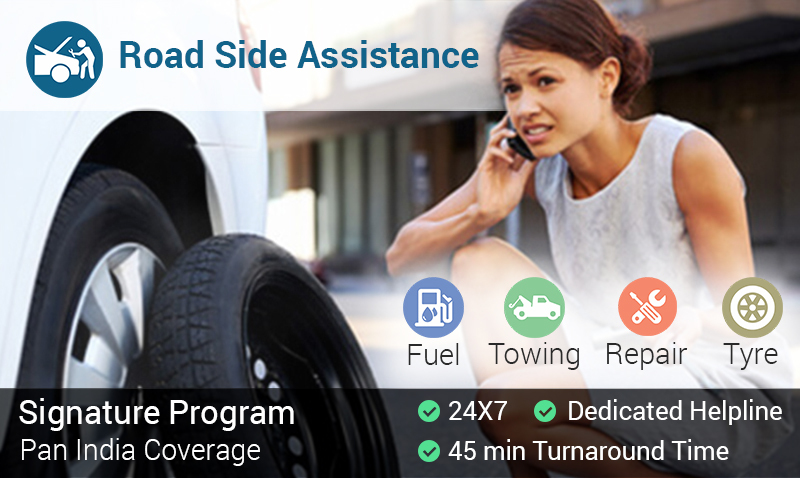 We at Droom understand how important roadside assistance is for our customers, which is why we have come up with our pan India Road Side Assistance service. Roadside Assistance is an offering to help you feel safe and secure while you are travelling from one place to another. Droom has collaborated with AXA Assistance India to provide roadside assistance across 4800 cities across India. AXA Assistance is one of the largest players in the international assistance field with the largest own service network worldwide. The company has a vast global experience of handling more than 8.5 million claims annually. So next time you plan for a long trip or a weekend getaway, and your car breaks down, don’t let it break down your spirit or fun! We at Droom have got your back! Visit Droom today to get more details on Roadside Assistance. Check Pricing Research Tool Before Next Vehicle Purchase!